Across the pond is where I spent my 40thbirthday. I wanted to see the land I often read about in books and heard about on documentaries. What I didn’t know is that I was headed to the perfect place for a female #firestarter, nor did I know that I would be inspired by the Ladies of London. And no, I’m not talking about the Bravo TV show (although I do watch the fair ladies and their amazing fashions. When does the next season begin?). The Brits have embraced female leaders as far back as one can imagine. I visited the National Portrait Gallery and learned that Mary I was the first Queen of England and Ireland in her own right with a full coronation. She was known for attempting to restore Roman Catholicism over Protestantism in England (if you recall, her father, King Henry VIII, created the Church of England). It fascinates me that England and Ireland were led by a female in 1553 and we have yet to have a woman President in the United States. This led me to inquire about more female #firestarters while in the UK. 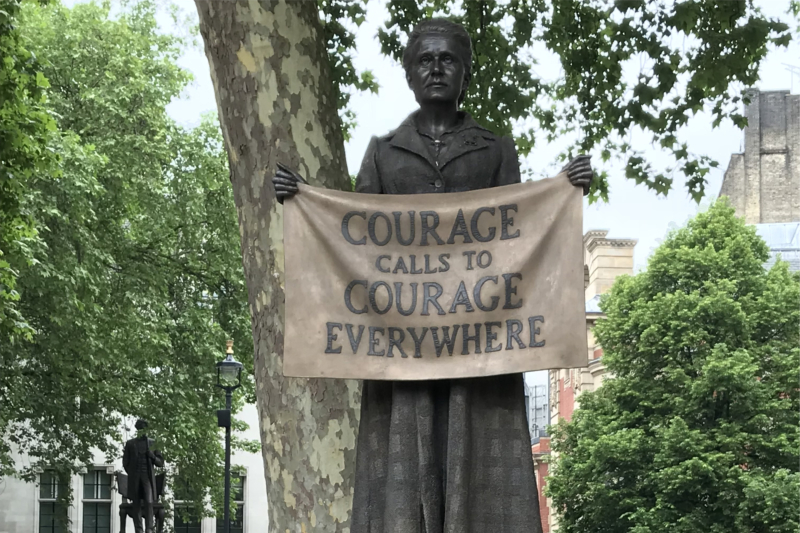 Ironically, the country is celebrating 100 years of women’s suffrage with several events in 2018. While touring Parliament, I learned that women the age of 30 and older received the right to vote in 1918. That same year, Constance Markievicz became the first women to be elected to the House of Commons. They didn’t dip their toe into the water, they jumped into the whole pool! Ironically, while walking to my hotel one day, I walked past her home. I took it as a sign that I needed to learn about these women. As our tour of Parliament wrapped, our guide pointed out Rose Hudson-Wilkin. Rose was inside Westminster Hall walking into a wedding rehearsal. I know this because I asked the security guards if she was going to come out anytime soon (of course, I did!). Rose is an inspiration for many, and I’m completely fascinated by her after reading more about her. She serves as the Priest-in-Charge of St. Mary-at-Hill in the City of London, but she concurrently holds the roles of Chaplain to the Speaker of the House of Commons, priest vicar at Westminster Abbey, and chaplain to the Queen. If you watched the Royal Wedding, you’ll remember her as the female priest who read a prayer during Meghan and Harry’s wedding. 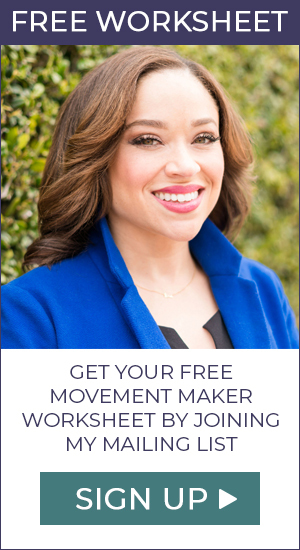 She’s also known for being a #movementmaker. Rose once held a rooftop protest in order to draw attention to a leaky church roof. The priest told reporters she didn’t mind being up there because they were seeing donations as a result of her activities. I saw Rose a second time! Do I think it is divine intervention? Um…YES. My husband and I attended services at St. Paul’s Cathedral the Sunday of our stay. The cathedral is incredible. I lost my train of thought as I recalled the many who sought refuge inside or those who were buried in its floors. And the choir and cantors sound as angelic as you have dreamed. It was really a special treat to be able to attend a service on Trinity Sunday. Rose delivered the address or what some of us call the homily or sermon. As you would imagine, her voice was powerful, steady, and her words were an inspiration. She talked about the Chelsea flower show and she talked about love. Rose did not disappoint, and I wish I had pen and paper to take notes. The best part for me wasn’t the address but what came at the end of service. As we exited, she greeted each person who attended. I told her that the address was a beautiful message and she extended her hand to shake mine with a smile. I wanted to ask for a selfie, but we were in a thousand-year-old church and selfies felt out of place. Seriously, shaking her hand was my absolute favorite part of the trip. After service, I stopped at Starbucks. While sitting to enjoy my drink and staring out the window, I saw Rose walking alone. She was with the same rolling briefcase or luggage I saw her with the day before. Rose looked like any other unassuming person I saw out that window, and had I not seen the Royal Wedding or she been pointed out to me at Parliament, I wouldn’t have known who she was that day. This served as a reminder to me—each of us has what it takes to be a leader. It’s truly when we step up at a moment when we feel that we are called to do something great that we begin to build movements. And that was confirmed for me with a quick scan of Rose’s Wikipedia page. 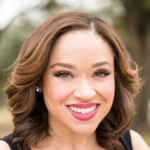 In regards to joining the ministry, she said, “I simply had this overwhelming sense that this was what I was called to do.” She is a #firestarter and an honorary member of the #movementmakertribe. Another highlight of my trip was meeting with #firestarter @TiffanyRaspberry. Speaking of powerful ladies, Tiffany is a NYC based lobbyist who is studying Global Policy at the College of London. We connected before arriving to plan a time to catch up and trade stories about working while studying at a university. Tiffany and I were able to meet to talk all things movement building, lobbying, and SHOPPING in the UK. Isn’t it funny that I had to travel across the world to talk shop with an American? There was so much to learn from the Ladies of London during my trip. I have many pictures of lady leaders and stories I collected from museums and tours. I can’t blog about each of them or this would be one really long article, but I do want to share some of my trip with you. I’ve brought some items back from my trip and it’s giveaway time! You must complete all the steps to be considered for the Ladies of London prize pack. 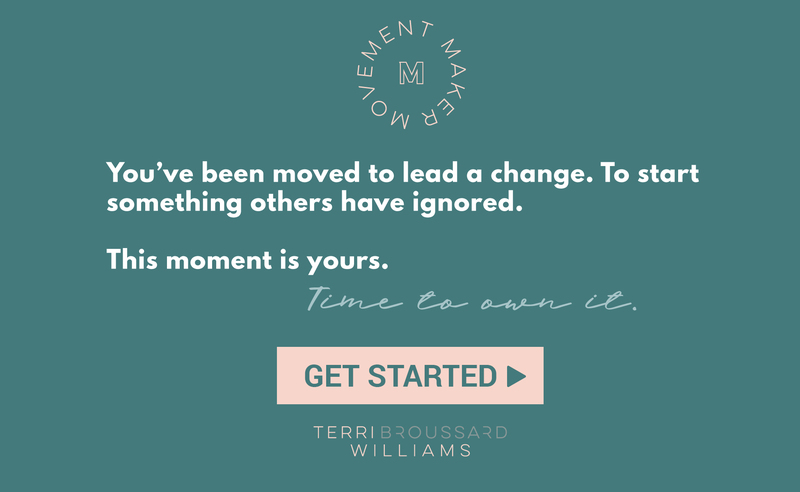 First, sign up for my newsletter at www.terribwilliams.com. Next, comment below with anything you love about the UK. Third, tag two of your #firestarter friends. PS. A friend visited London the day of the Royal Wedding and she saw the Gospel Choir returning to the City after the event. Long story short, she learned from someone in the choir that the group was a gift from Prince Charles to the couple. That’s scoop that made me tingly inside. And, there are more pictures from my trip on Instagram! Check them out and comment to let me know which one are your favorites!